Introducing the Bottle Return Program! Drink, rinse and collect 10 Boochy Mama’s bottles. Return them to our downtown Toledo store, and you’ll receive a free 16oz kombucha! These participating stockists are helping us reduce waste by collecting used Boochy Mama’s bottles! * Fowl & Fodder * Original Sub Shop * Flying Joe * Phoenix Earth Food Co-op * Steam Inn Coffee + more coming soon! Video and editing by Joni Johnson Photography. Illustration by Nikki Eggerstorfer. Music provided by Dream Louder. Boochy Mama's understands the interconnectedness of our environment, our community and our economy; our "ecos" (Greek for home). Being green is not just a buzzword, it’s common sense. When sustainability is approached holistically, it is more economical. Stacy Jurich, Boochy Mama’s founder, has been an environmental and social justice activist since 2004 and has driven around the country self-sourcing her own waste vegetable oil for fuel. These philosophies are seamlessly + organically ingrained in Boochy Mama's day-to-day business operations and into the future. At Boochy Mama's, we're committed to having a sustainable business with reduced waste, intentional sourcing + conscious decision making. 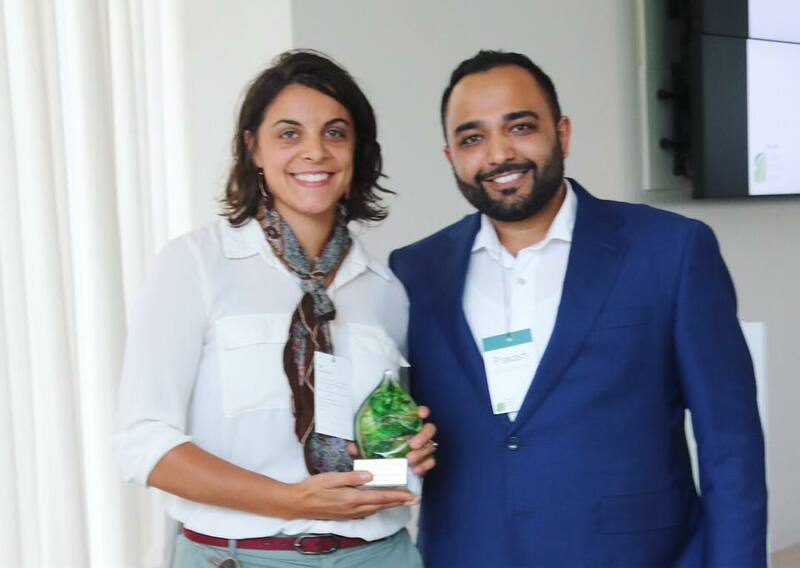 Boochy Mama’s owner Stacy Jurich with Prakash Karamchandani, former classmate and Co-Founder of Balance Pan Asian Grille at the 2018 Beyond Green Gala.